KINGSWAY BOXING | SHIREEN ‘THE MACHINE’ BRINGS HOME THE WIN FOR TEAM KINGSWAY! SHIREEN 'THE MACHINE' BRINGS HOME THE WIN FOR TEAM KINGSWAY! 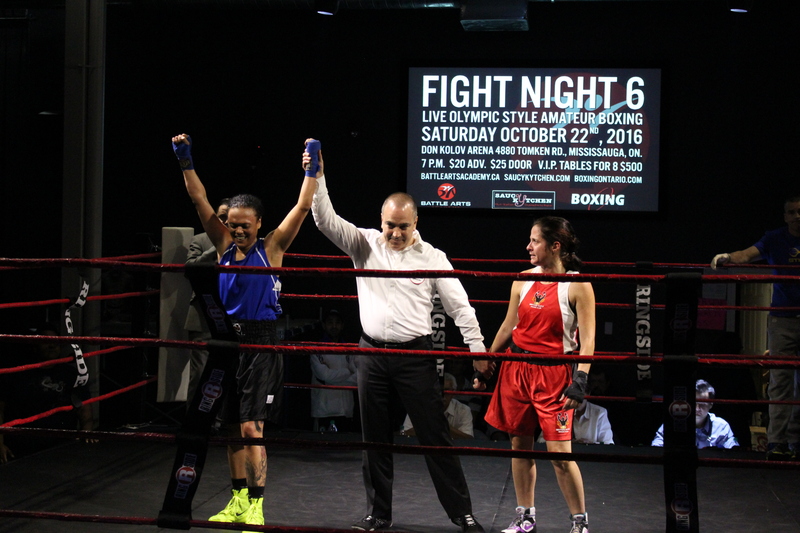 Shireen “The Machine” Fabing declared the winner by unanimous decision at last weekends fights in mississauga. 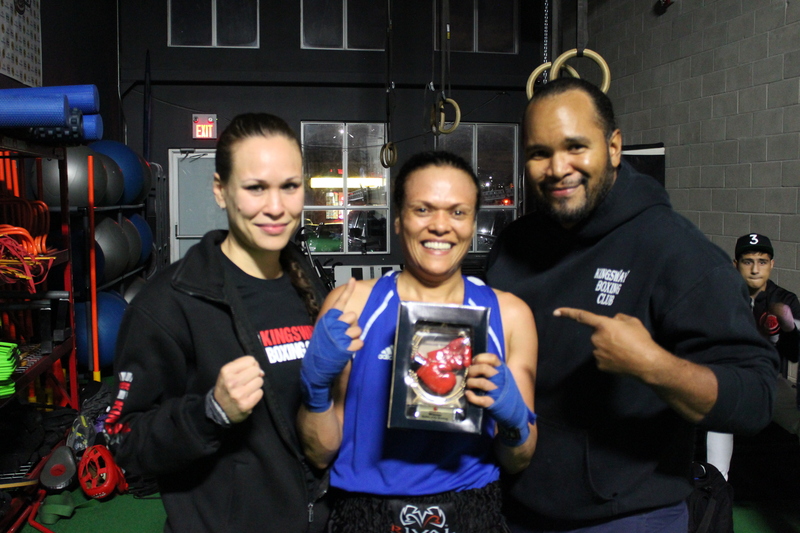 Shireen “The Machine” Victorious Last Weekend! The crowd was on fire and Team Kingsway was out in full force as Shireen “The Machine” Fabing headed to the ring! If you recognize the name, it’s because Shireen is a Fight To End Cancer alumni who fought in 2013, she’s also a regular at the gym. You can see her almost everyday putting in time to conditioning, technical training or sparring in preparation for her fights! Last Saturday in Mississauga, Shireen took on a strong opponent from Oshawa representing the Motor City Boxing Club. This was a highly anticipated rematch for both women! In their first encounter last year, Shireen won a close decision! They were both hungry for the win going into this fight, however it was Team Kingsway who took home the win! Shireen puts in the work on the pads with her coach Virgil. The bout started off with both women testing each other out, trying out combinations as each landed and missed. Shireen was matching her opponent shot for shot as she kept her distance. As the bell rang marking the end of the first round, Shireen walked back to her corner where her coaches were right there waiting to give her the instructions she needed for the next rounds. The crowd was going wild in the Don Kolov Arena as both boxers put on a great show! Team Kingsway cheered loudly, with 30 plus KBC’ers and FTEC alumni out to support Shireen! With the team behind her, she took the match to her opponent. Her combinations were landing as she weaved and avoided her opponent’s punches. 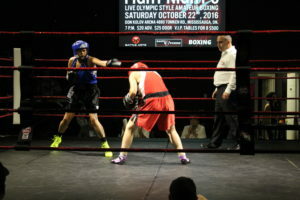 Shireen was dominating in each round as she headed into the corner before the third and final round. 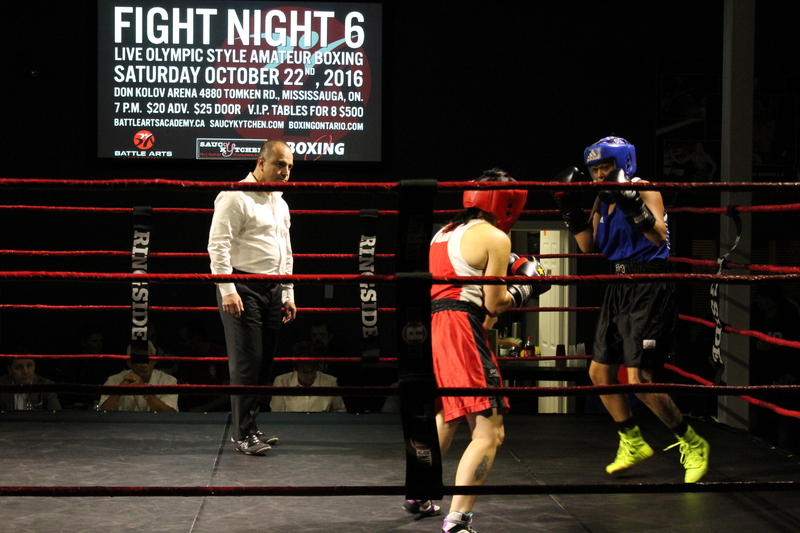 With the final instructions being given by Coach Virgil, Shireen was ready to close out the bout. Once again “The Machine” went back to work and took over the round, landing a large percentage of her jabs and crosses. All the training at the gym was clearly paying off as she again took her opponent to the edge! The final bell rang, both women gave each other a big hug as they knew they both left it all in the ring! The official held both boxer’s hand as they waited for the decision. After a few moments of anticipation the announcer proclaimed Shireen the winner by unanimous decision! Team Kingsway erupted in cheer as Shireen’s hand was raised in victory! 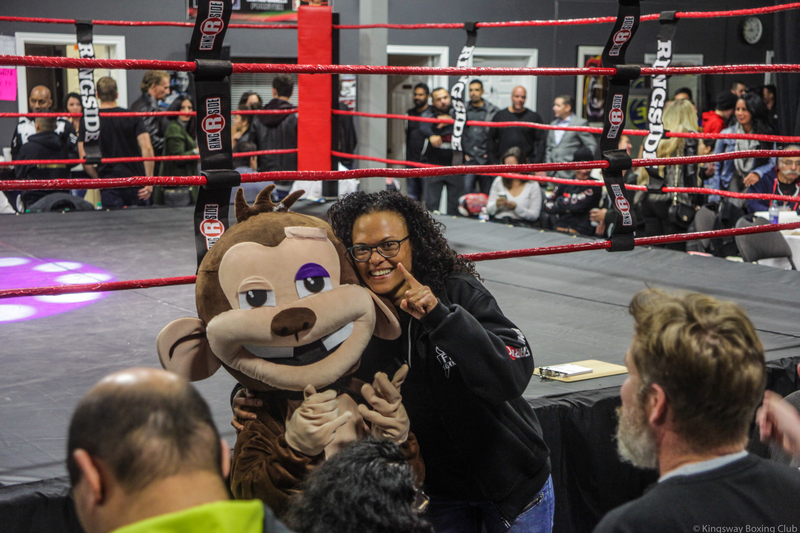 If you’re interested in training like Shireen does, the Kingsway Boxing Club offers many different programs that focus on teaching the sport of boxing in a safe and fun environment! Make sure to visit our program’s page for more information!